Standard Rooms: Has the max. capacity for 3 persons, installed in 22 m2. All of our rooms have bath with bathtub, WC, telephone, safe box, minibar, satellite broadcast, LCD TV, hair dryer, split system air condition. All of our rooms have balcony and parqueted floor. 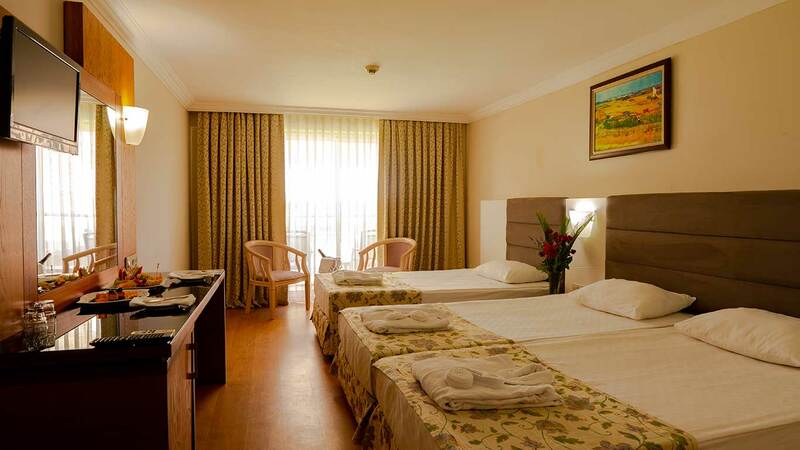 Large Rooms: The capacity is maximum 4 persons and room width 28 m2. Large room are one big room. All of our rooms have bath with bathtub, WC, telephone, safe box, minibar, satellite broadcast, LCD TV, hair dryer, split system air condition. All of our rooms have balcony and parqueted floor.